Oh, the naivety of me. That was how I had intended starting my reaction piece on the noble (I thought) assumption that South Africa -- already judged preferred candidates through an independent technical-level recommendation – would duly go on to be named hosts of the 2023 Rugby World Cup. Instead, in an oddly sombre atmosphere at the London hotel announcement on Wednesday that seemed to say much about the likely, behind-the-scenes lobbying jiggery-pokery in the immediate lead-up, World Rugby chairperson Bill Beaumont announced France as shock winners. Even the French delegation didn’t exactly hit the ceiling in their, er, delight. Few would quibble, I was going to submit, that South African society, broadly, needed some uplifting news. While hardly the answer to all our problems – and let’s face it, not everybody cares passionately about the eccentric bounce of an oval ball – it would have been a hugely welcome shot in the arm. I wrote that South Africa gets a highly proven, major psychological kick out of welcoming the rest of the planet, as it were, to our geographically splendid shores and radiant sunshine. That somehow we all magically revert – some need more reverting than others, perhaps? – to very best behaviour and, almost as importantly, humour. I would have gone on: “Whatever the skulduggery (often copious amounts of it) that goes on behind the scenes and the dubious, personal beneficiaries surrounding successful bids for major sports tournaments, they still say the best things in life are free … and the pure, unbridled gees that unfailingly surfaces among South Africans when we are put in charge of a major jamboree has a value absolutely unquantifiable in banknotes. “We have staged a soccer World Cup (2010) widely deemed one of the most harmonious and enjoyable from a ‘fan experience’ point of view in history, an iconic prior Rugby World Cup (1995) that proved an influential unifier in the delicate transition to democracy – and had a dream outcome – plus the 2003 Cricket World Cup, the eighth in that sport at the time. I would have made the point that we may have enduring security issues of our own (it is a stark reality that the overwhelming majority of violent crime against individuals occurs in impoverished areas far removed from the spick-and-span pavements commonly trodden by tourists) but our record for “getting things done” -- and with accompanying lashings of flair and pride -- in mass-interest sporting events is well-nigh impeccable. 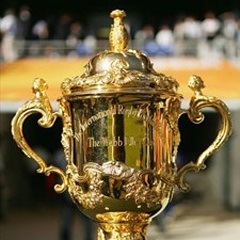 There would have been little reason to fear, either, that another RWC, with some six years’ notice to prepare, would bomb … especially with so little start-from-scratch infrastructure to have to fret over and the access to a handful of spacious, modern stadiums – under-used so much in the interim – that are a legacy of 2010 and requiring little more than a lick of paint or tightening of a rogue loose seat. Tragically, many of those magnificent venues will instead remain dustier and more cobweb-coated than we would like. Morally, I suggested, a stamp for SA as confirmed hosts would have stuck pretty firmly to the wall -- especially having been the pick, from the trio of contending nations with Ireland and France, of that first-time process by World Rugby involving technical-panel determination of a “preferred host” slightly in advance of the announcement-proper. It would have been embarrassing, awkward and showing dangerous potential for disorder and division, I submitted, had the global bosses effectively circumvented their virgin procedure by having one of the others prevail. I stand by that view in the aftermath. Remember also, I noted, that South Africa have been patient queue-dwellers for many years for a second opportunity at hosting RWC – we were among official final bidders for all of the 2011, 2015 and 2019 tournaments. The bosses at SA Rugby’s panoramic Plattekloof headquarters were especially dejected over failure to land 2019, as the world body decided a little ahead of expectation that it was time to take the chance (it is that, in several senses) of putting a toe in the water with a notably lesser power in the game, in the shape of the Japanese. From that moment on I, just for one, became strongly convinced that 2023 would see the World Cup finally come back to our terrain for the first time in 28 years. My belief was aided in no small measure by a conversation in Cape Town, during his visit in 2011, with the genial, effusive then-IRB chairman Bernard Lapasset. At that point, New Zealand 2015 and Japan 2019 had both already been cast in stone, and he was not shy to say how unlucky South Africa had been in losing out on the latter, in particular. I will never forget the discernibly knowing wink he gave as he completed those words, either. France getting 2023, I contended, would have been a slightly unorthodox decision in terms of landing it again only four cycles onward from last hosting it in 2007 – a move that would only painfully remind of how few countries, when all is said and done, still hold the balance of rugby power and its purse strings in many respects. The world game still needs strong Springboks and there was a case for saying the sickly showing from the national side in Dublin last weekend only emphasised the need for a major fillip like a World Cup to rekindle interest at a time when the SA game faces some unique, varied and acute challenges to its wellbeing. I was intending to say that RWC 2023 for South Africa was a good, and perfectly just, decision, and would have suggested you light a celebratory braai. Sorry, I hadn’t anticipated smelling salts, rather than spicy meat. Right now I have a three-letter Afrikaans word on my mind. It starts with ‘f’ and ends with ‘k’.